9ct white gold stunning vintage inspired cultured freshwater pearl earrings and pendant box set. 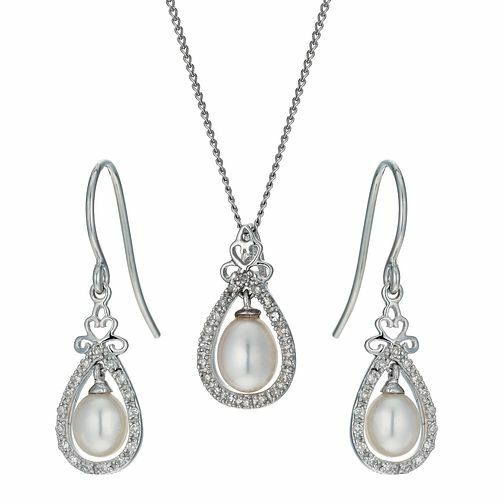 An elegant pearl drop is surrounded by a diamond set edging featured on both earrings and pendant. Contemporary jewellery at Ernest Jones.